The Pentecostal Fellowship of Nigeria PFN, an arm of the Christian Association of Nigeria CAN, has kicked against plans by the Federal government to merge Christian Religious Knowledge CRK, Islmaic Religious Knowledge IRK and Social Studies into a new subject to be known as Religion and National values. Recently there was a public outcry following rumors of plans by the Federal government to scrap CRK. The Ministry of Education however came out to say that the rumor is unfounded as no one is scrapping the subject from its curriculum. The Ministry said that what has happened is that CRK, IRK and Social Studies have been merged into a new subject. Speaking after its 2nd quarter National Executive Council meeting held in Lagos today, the National President of PFN, Felix Omobude, said denying CRK its age-long position as a single subject standing on its own has foreclosed the opportunity of the subject being studied at the tertiary institutions. Omobude while addressing newsmen said. 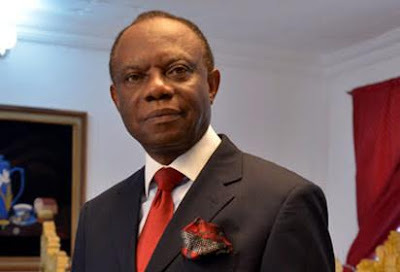 "The PFN is concerned at the controversy that has attended the revised Basic Education Curriculum, especially the collapse of Christian Religious Studies as part of an omnibus subject known as Religion and National Values. We noted the explanation by the Nigerian Educational Research and Development Council (NERDC) on some of the issues raised. There is really no justification for the uncertainty the NERDC has created which has opened up the implementation of the curriculum to the whims and caprices. Collapsing CRK as only a part of Religion and National Values forecloses the opportunity of the subject being studied at the tertiary level by students and is unacceptable’’ he said. The PFN president commended the Federal government for prosecuting the war against Boko Haram. In the same vein, the body asked the Federal government not to relent in its efforts to rescue the remaining Chibok school girls as well as bring a lasting solution to the religious crisis in Southern Kaduna. “PFN is worried at developments in Southern Kaduna, especially the lack of prompt response to guarantee the security of lives and property there, leading to a loss of lives of many indigenes of that area. A delegation from the PFN recently paid a visitation to Southern Kaduna and made a presentation of N15 million worth of relief materials to the different groups, irrespective of ethnicity or religion. From this visit, we can see that there is much more that urgently needs to be done for the people of Southern Kaduna and urgently too. We call on the Federal government and Kaduna State Government to immediately improve on their rehabilitation efforts,’’ he said.